It's easy! Customize any of these templates and then download a free PDF. Print your own hard hat stickers, for Free! 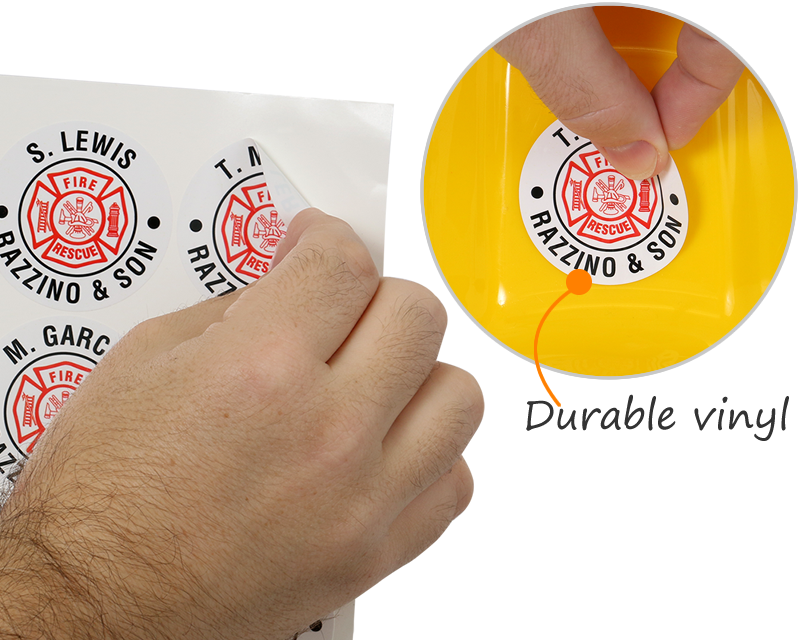 • Designs are compatible with our laser printable stationery for hard hat stickers. Vinyl stickers are durable and stick well to your hard hat or helmet. Click here to see compatible laser printable stationery. 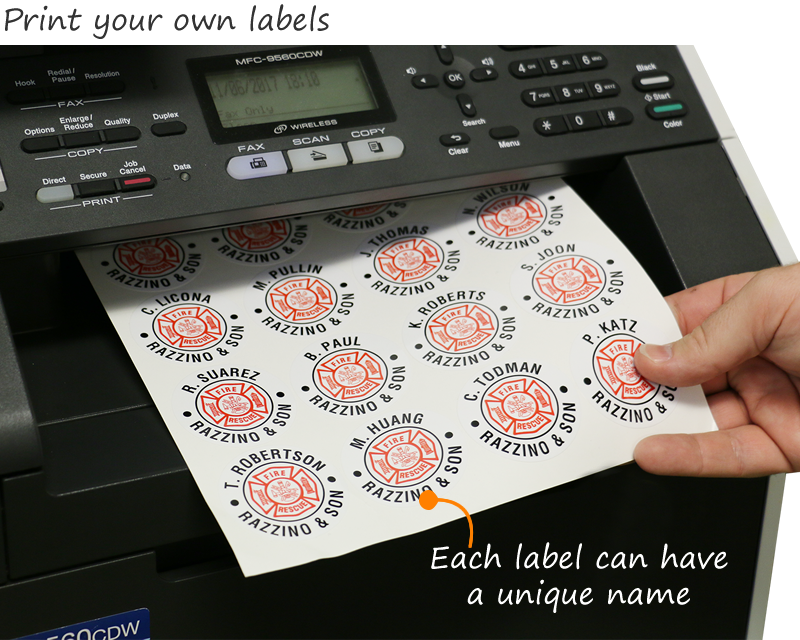 • You can also personalize your labels. Each label may have a unique name or ID. Add your company or union name to one of the outer ring text areas and then each person's name to the other text area. 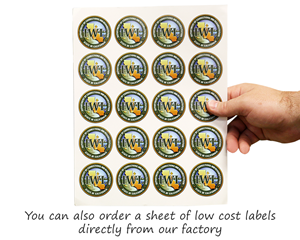 As an option, you may also order factory-made labels, also on sheets. Sheet labels are our most inexpensive option. Print your own stickers using these durable vinyl decals. Enter your first and last name (or your company's or organization's name) to any of these templates. Each sticker can have a different name. For some designs, you may change a symbol or change the color scheme. These top selling pre-made designs can be printed for free on your laser or ink jet printer. Exactly as represented on the website and speedy, free delivery. Could not ask for anything more. Our employees appreciate the stickers recognizing their professional training. These are a good size for hard hats. The order was processed in a timely manner & the sender kept me updated on the order progress. Well made stickers that stick very well.